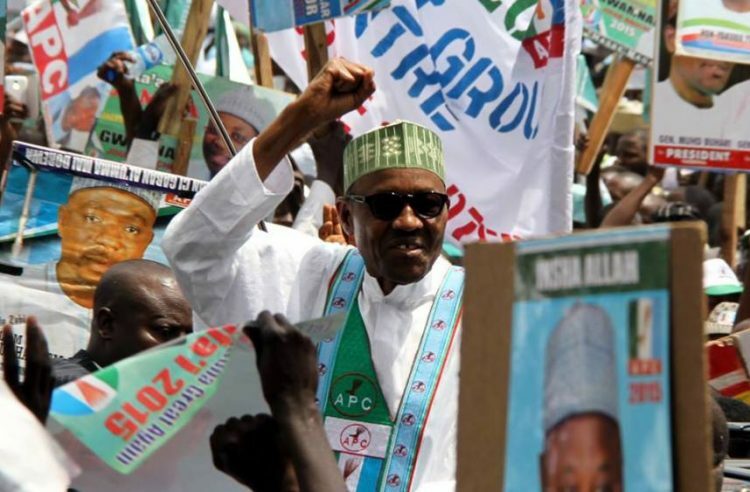 North West women and youth leaders of the ruling All Progressives Congress (APC) rose from a meeting on Saturday in Kaduna, saying that they would mobilise 15 million votes for President Muhammadu Buhari during the 2019 elections. The North West Youth Leader, Sadiq Sani Fakai, said the presidential election was just 82 days away, hence the need to strategise on how to mobilise support for the party and ensure its victory. He said that Buhariâ€™s government has delivered good governance in all ramifications, alleging that corrupt politicians were bent on rubbishing its achievements. He, therefore, said the youths would rise to pro- mote the achievements of the administration and canvass votes for it. The zonal woman leader, Yahanasu Buba Ahmad, in her remarks, said the women wing had concluded arrangements to organise a 35,000 women rally for Buhari next Tuesday. Briefing newsmen shortly after the meeting began, leader of the youth caucus and Senior Special Assistant to President Buhari on Social Investment, Ismail Ahmad, said the meeting has mapped out strategy to deliver 15 million votes to Buhari in the forthcoming polls. He also vowed that they would work to reclaim Sokoto State and all legislative seats lost to other parties both in the State and National Assembly. encouraged more people to register and a lot of people were encouraged to collect their PVCs as well. So, the registered voters should be in the region of 20 million by now. â€œWe are going down to all the wards, all the Local Government Areas in all the seven states of the North West to mobilise people. Remember that in 2015, with the exception of Senator Danjuma Laah of Kaduna South, all the senators from the North West zone we have, were APC. All the governors of the North West for the first time since 1999 were APC until recently when we had the defection of the Sokoto State governor. â€œOur plan is to ensure that the party maintains that 2015 success and reclaim Sokoto State as well as all our legislative seats both at the national and state levels,â€ Ahmad said. We've lost it in this country. I've been wondering what Buhari's second tenure would be like.